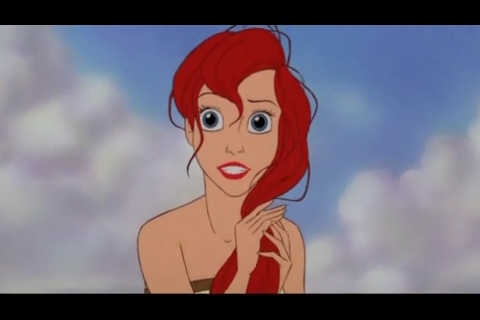 I got the idea from SarahCorine and I asked her if it was okay. 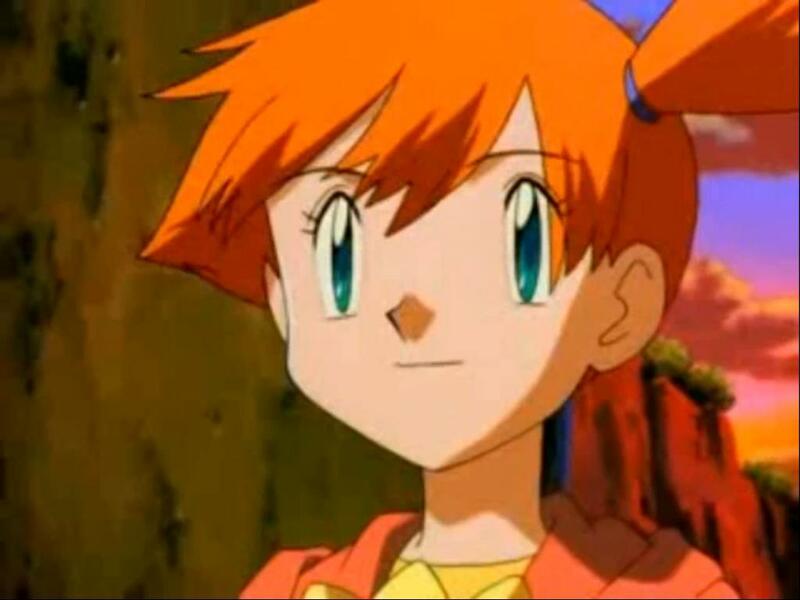 Anyway this is how it works you name a character who you think looks like an older version of each young heroine. 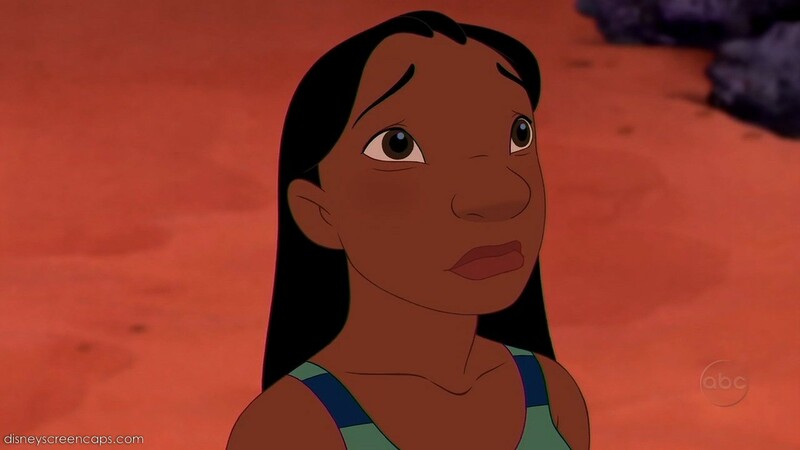 Next you tell us what movie or show she's from and you must include a picture. 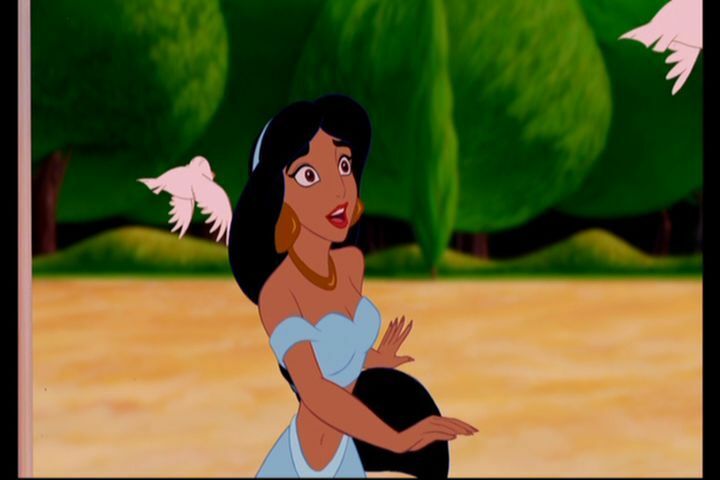 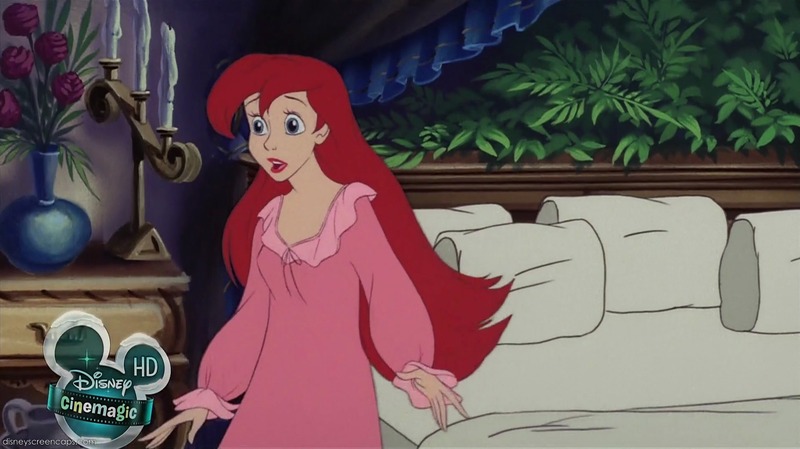 The character you use doesn't have to be disney, you can use any character as long as it's a female character. 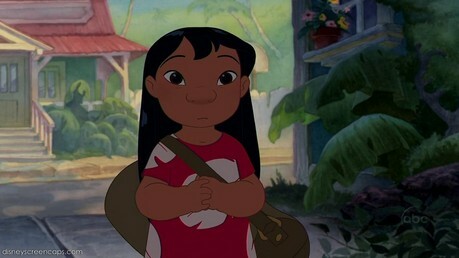 However don't use actual older versions of them like with Wendy and Lilo who we actually get to see what they look like when they're older. 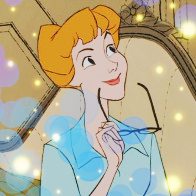 Those won't count at all. 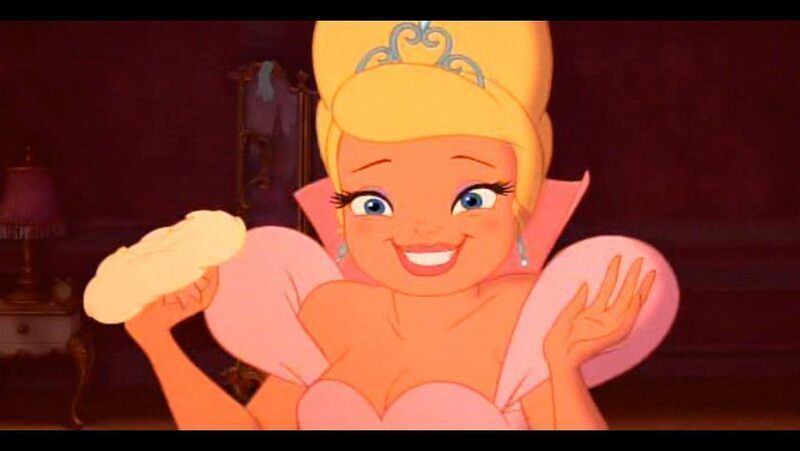 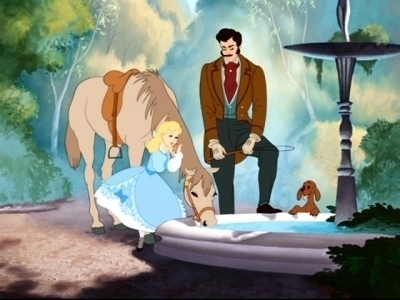 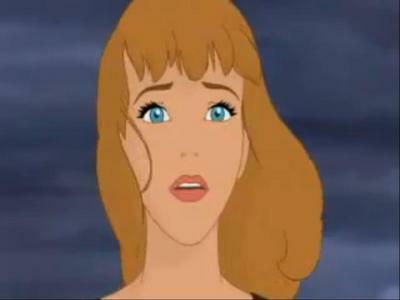 I think Cinderella(In the first film) looks alot like Alice. They have the same eyes, almost the same hair style on Alice's is longer. 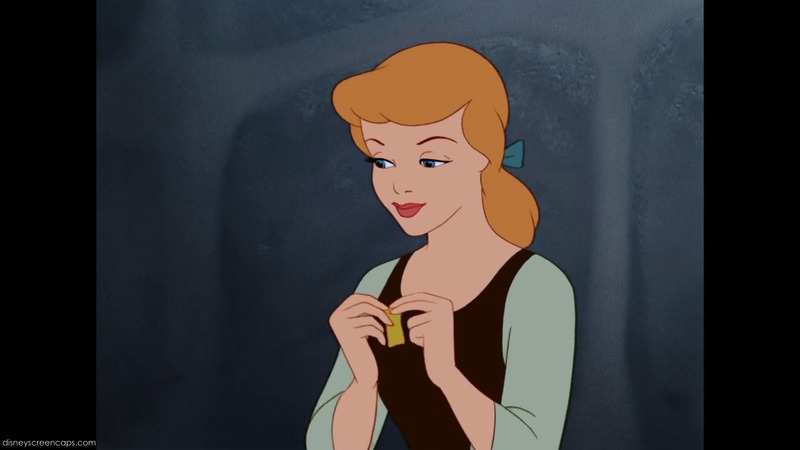 Plus she looks exactly like how Cinderella looked as a little girl at the beginning of the film. 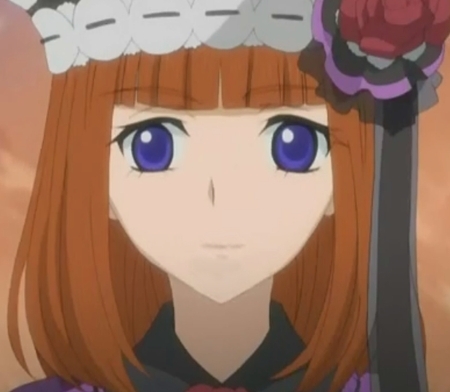 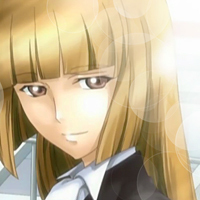 I think Princess Aroura looks alot like Alice. 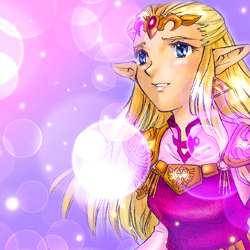 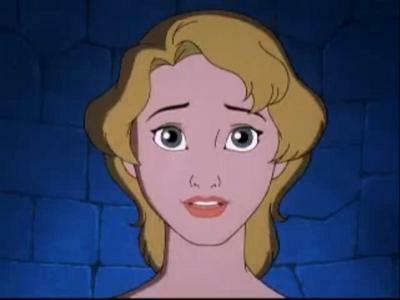 She has long blonde hair and blue eyes. 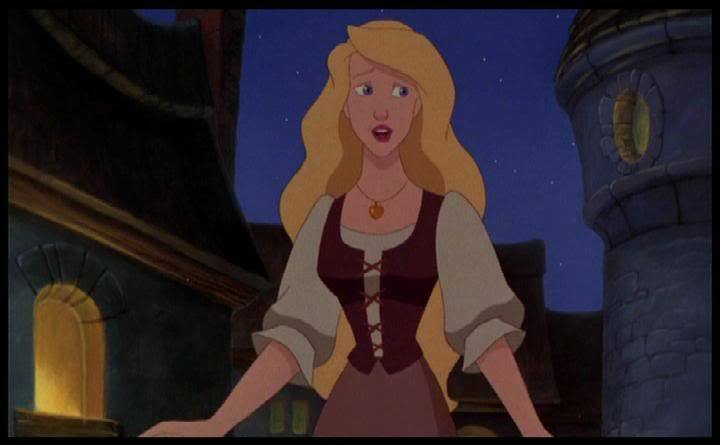 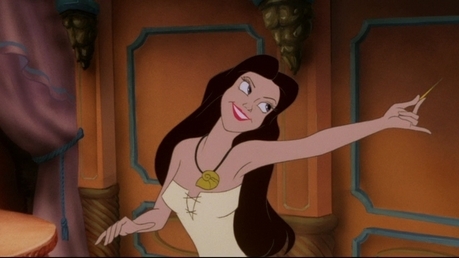 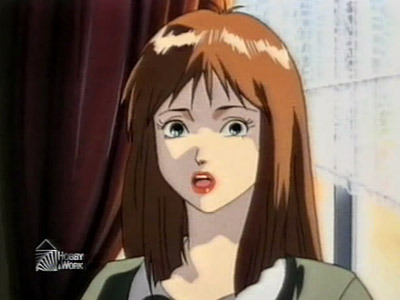 I also think after watching a video that Alice also looks kinda in a way like Odette from The Swan Princess. 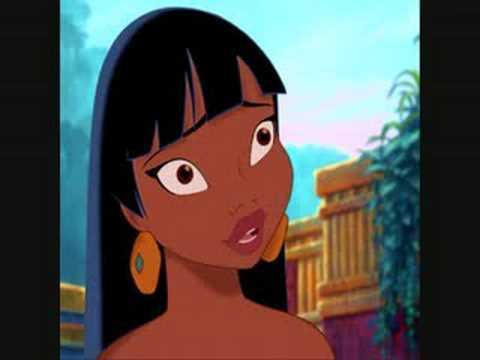 Yes you're allowed to submit more than one option. 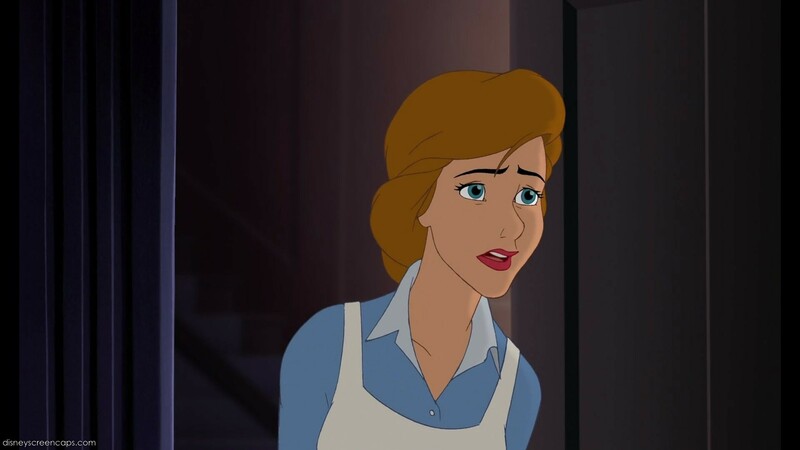 I was watching Princess and The Frog the other day and I noticed that Charlotte kinda looks like an older Alice. 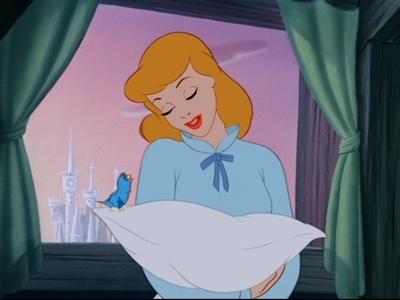 I know people are just gonna say Cinderella and I agree Wendy does look a great deal like Cinderella. 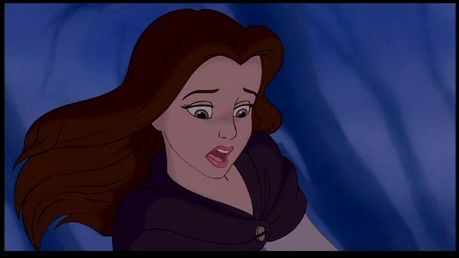 However I also think she looks alot like Belle, she even looks like Belle a little when she's all grown up in the sequel. 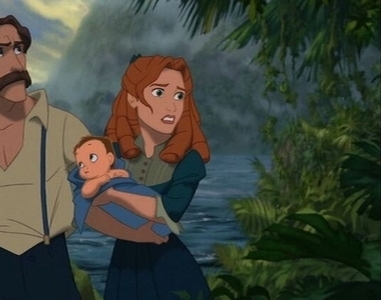 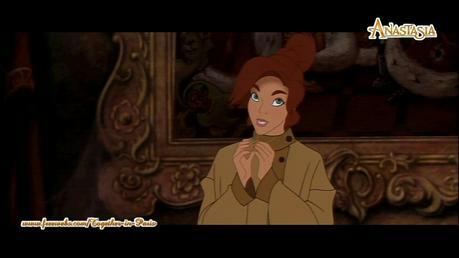 I think Madellaine from The Hunchback of Notre Dame 2 looks alot like Penny(R). 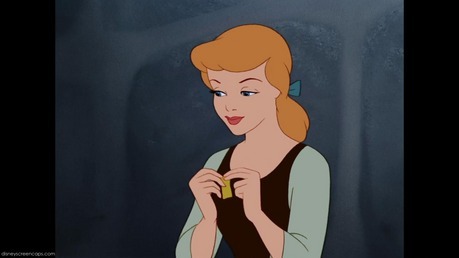 Penny is only plainly pretty and Madellaine is beautiful. 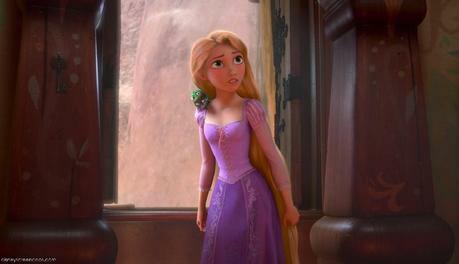 So I kinda love that whole plain little girl becoming a beautiful young woman. I nominate Thumbelina! ...We all know what she looks like. Odette from The Swan Princess. 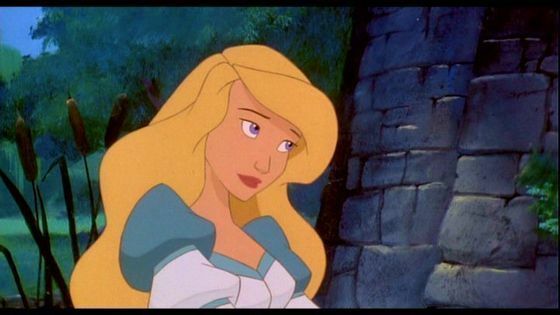 I think she looks alot like Eilonwy they both have the same eye shape, both have long gold hair, almost the same facial stucture and head shape. 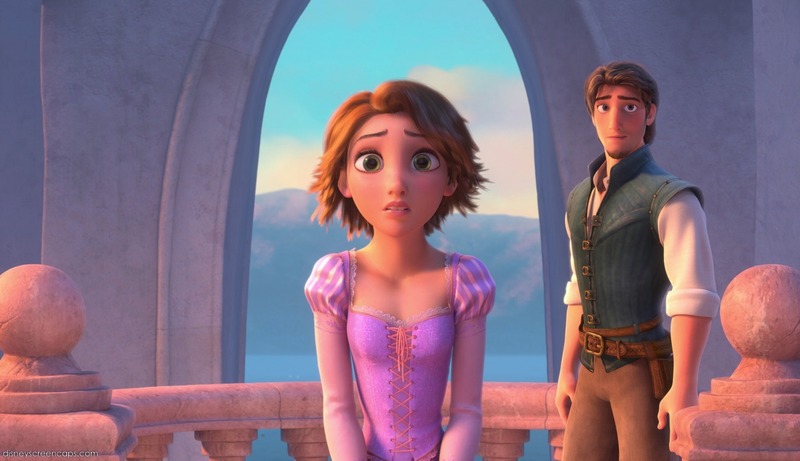 The pink dress she's wearing even looks a little like Eilonwy's pink dress. 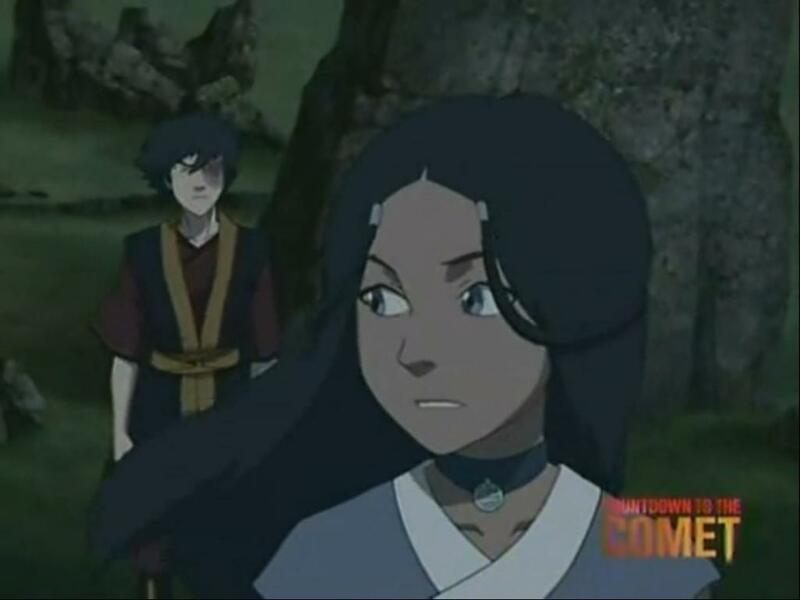 They could be sisters they look so much alike! 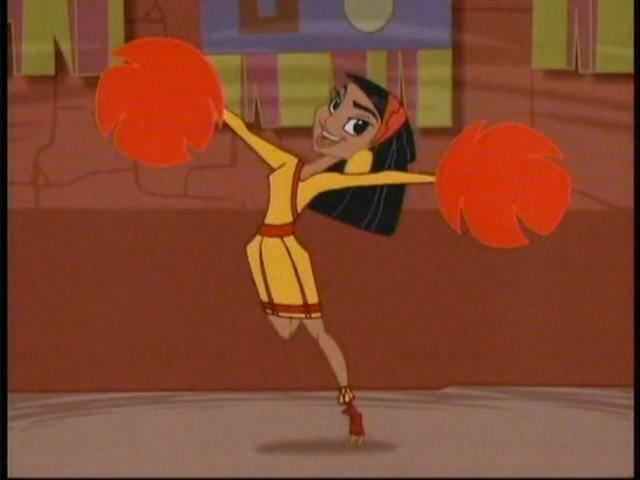 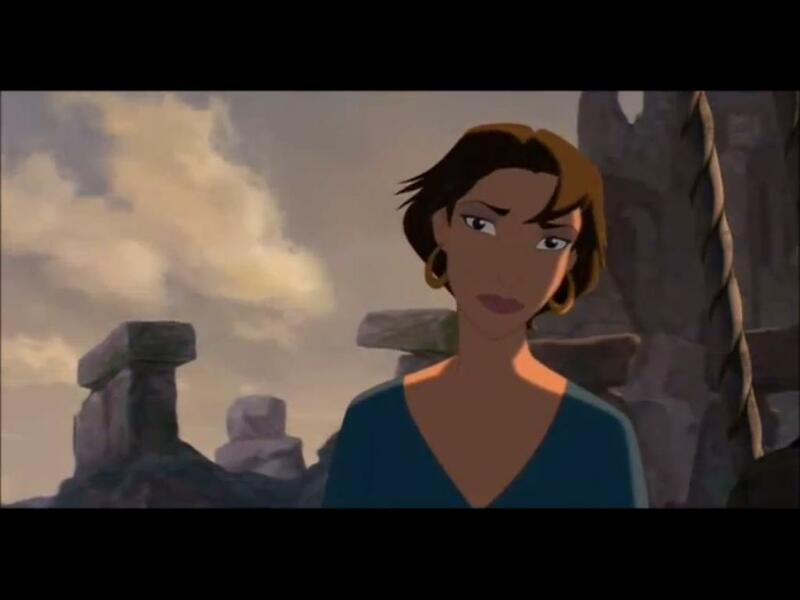 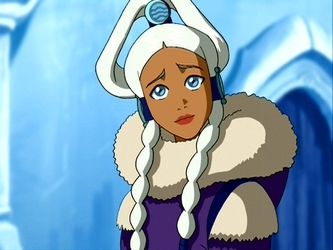 How about Kayley from Quest for Camelot with black hair? 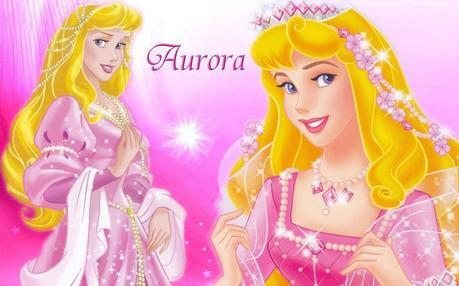 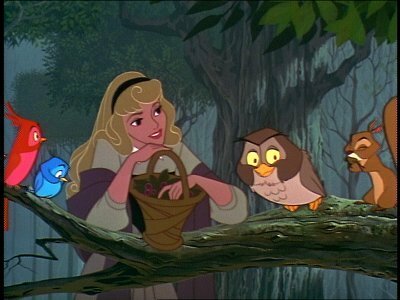 I have to disagree, I think Aurora looks more like Eilonwy. 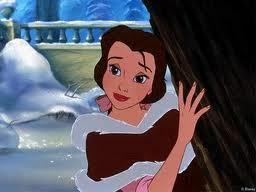 Alana and Vanessa definitely looked like older versions of Melody.